This app has been around for a while. It is an app that was published as far back as 2012. 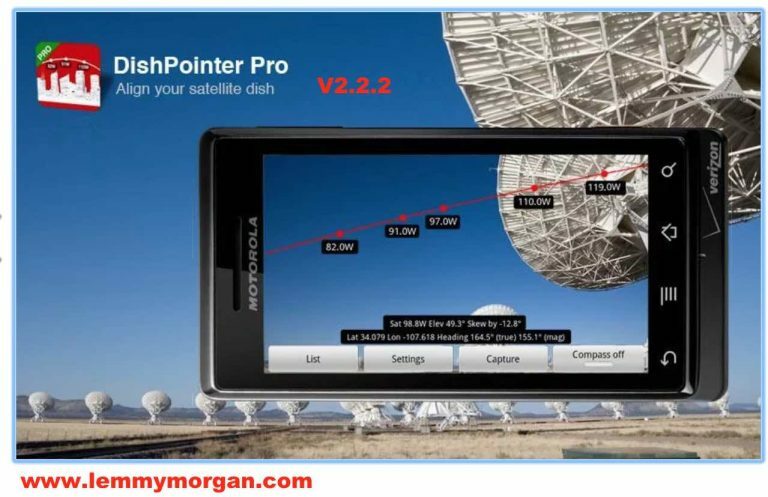 It is a must-have for any professional satellite installer who wishes to be at the top of his craft at all times DishPointer Pro: Point your phone towards the sky to see on the live camera screen where the satellites are, any line of sight (LoS) issues and the look angles. 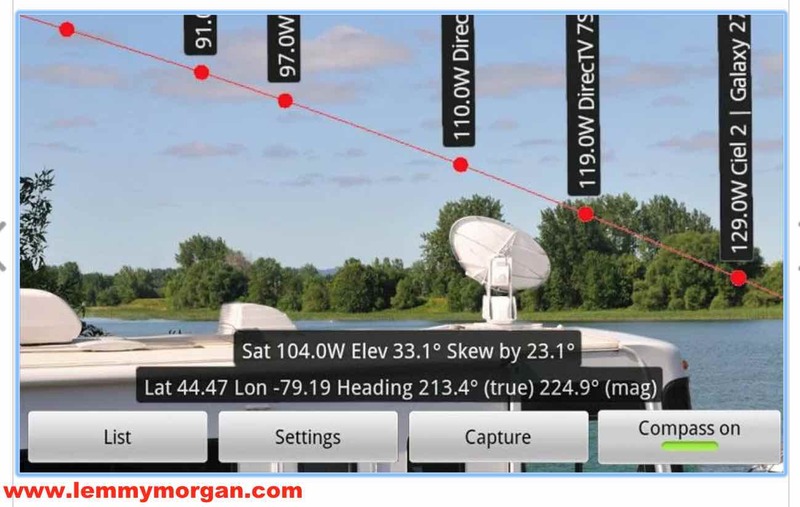 Couldn’t be easier to install your sat dish with this augmented reality satellite finder. With over 7000 downloads it’s the No.1 app for satellite professionals and DIY-enthusiasts alike. “It’s invaluable, gets the job done in half the time”. DishPointer Pro v2.2.2 – How to acquire? – NEW: User instructions updated. If you have any questions, please contact us at support@dishpointer.com. 1.Wait for a location fix. If the app cannot determine your location, enable GPS from the phone settings. Calibrate the compass each time you use the app. Just move the device in a large figure-8 motion while the DishPointer Pro app is running. Position the device where you’d like to setup the dish and point the device towards the sky. 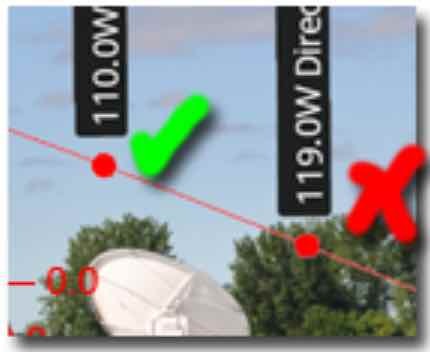 Check for line of sight issues by verifying that the desired satellite is on the clear sky and not on tree, building, etc.. If this is the case, you have a good spot for your dish and a clear line of sight towards the satellite. You can now point your dish in that direction. Set the elevation of the dish to the given value at the bottom. You might need to switch off the compass and move the satellites with your finger to get the settings for the right satellites as indicated at the bottom.